Die bonding (die attach) is the process of attaching a die (or chip) to a substrate, package, or another die. 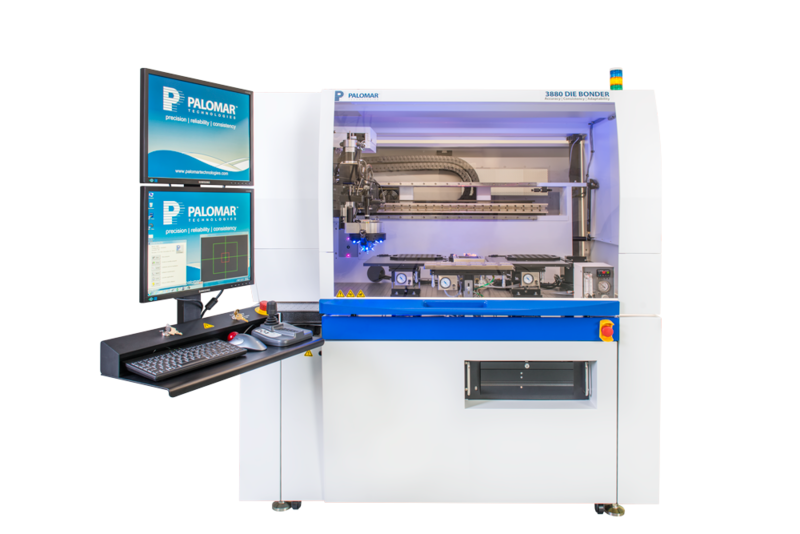 Palomar machines enable two levels of attachment: in situ eutectic die attach and epoxy die attach, and en masse void-free die attach. Eutectic die attach is a highly controlled die attach process for high reliability, high-accuracy requirement devices. Void-free die attach assembly processes are used when heat must be transferred away from the die or other critical components to avoid thermal failure. Applications used for eutectic die attach include RF Power Amplifiers, Military Hybrids, MMICs, high power semiconductor modules, and laser pump diodes. Epoxy die attach is the most commonly used die attach process due to price point and speed. Applications used for epoxy die attach include transistors, encapsulation of wire bonds, LED attachment, MCMs and hybrids. Things move fast in the optoelectronics market. Placement accuracy, high capacity and production speed matter more than ever. We’ve got the solution to keep up with the demands of your customers for accurate, consistent, throughput. Meet the 6532HP. 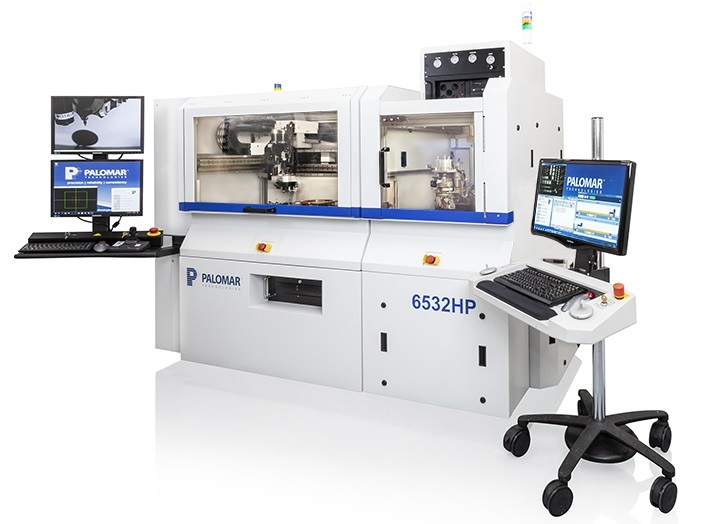 Developed for the demanding needs for the optoelectronics market, the 6532HP exceeds industry standards for placement accuracy and production speed. 1.5 micron placement accuracy and speeds up to 1200 UPH means maximum throughput for you and your customers. Automated presentation of dual 8” wafers, or up to 72 wafflepacks, or tape dispensers provides a high production, flexible parts presentation platform. The 6 position, bi-directional tool turret allows “on-the-fly” tool changes to maximize speed and flexibility. Options abound to customize your system to your needs. A variety of options and variations adds flexibility to the 6532HP and allows you to package the widest range of optoelectronic devices on a single system. 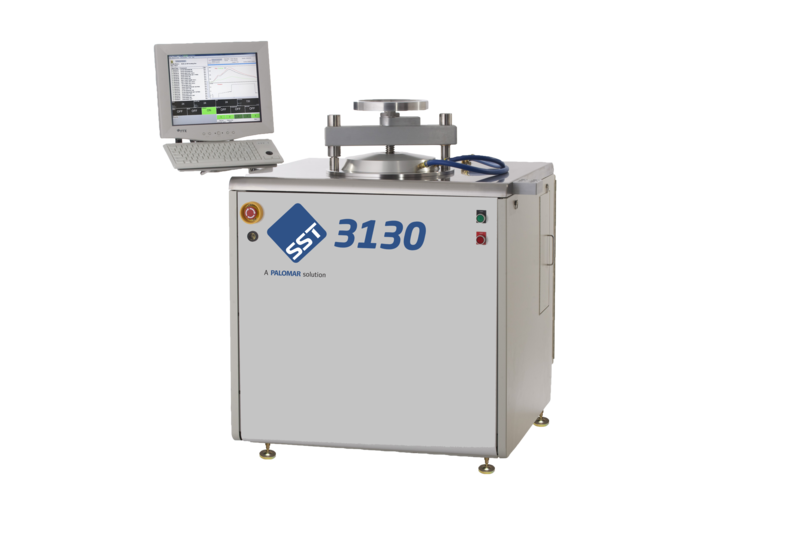 The 3880 Die Bonder is designed for fully automated epoxy and eutectic die attach processes. Its innovative integrated Z-Theta bidirectional 8-tool bond head makes it the fastest and most reliable multiple die-type bonder on the market. 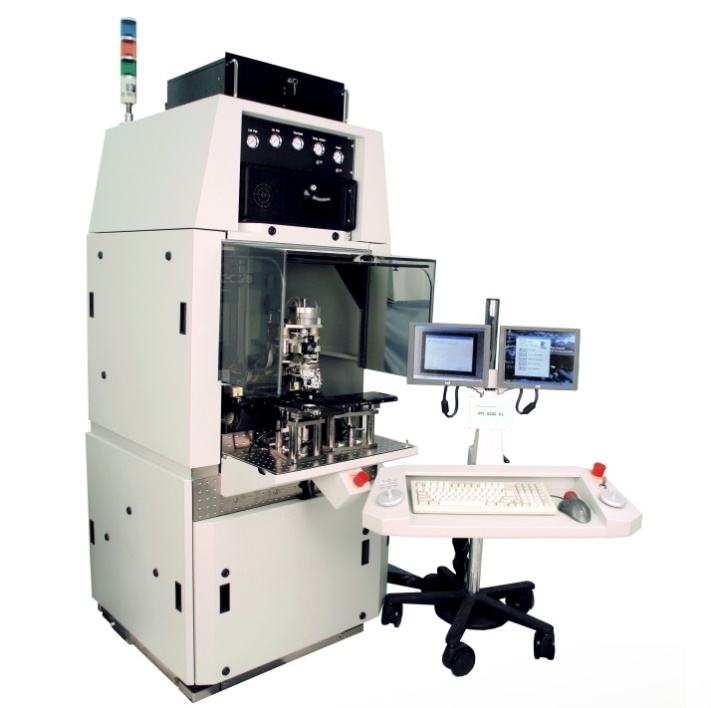 The continuous improvement on this platform delivers significant advancements in force uniformity; robust vision referencing, die placement planarity, and high-speed tool indexing provide users a flexible, reliable and high-performing machine for micron-level placement and assembly. The 5100 Vacuum Pressure Furnace is used for high production void-free soldering of microelectronic packages and components.Its vacuum and pressure furnace provides precise automatic control of heating and cooling ramp rates. Process heating is provided over the entire work area by a close-coupled planar infrared heating element. This system allows for heating up to 500°C and cooling in an inert gas environment from vacuum levels below 50 millitorr to pressures up to 40 psig. The 3130 Vacuum Pressure Furnace is used for production soldering, glass sealing, and brazing of microelectronic packages and components. A vacuum and pressure furnace that provides automatic control of heating to 500°C (1000°C optional) and cooling in an inert gas environment from vacuum levels of below 50 millitorr to pressures exceeding 50 psig. 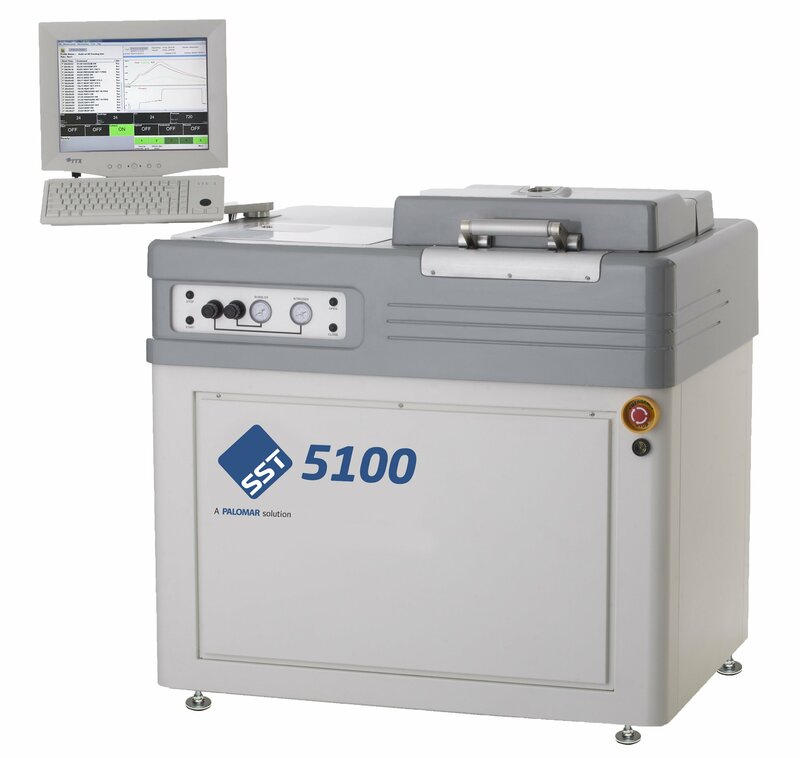 The 6500 Die Bonder is a high-speed, fully automated ultra-high accuracy die attach system. Used primarily in optoelectronic, wireless, and medical applications, this bonder’s 1.5µm placement accuracy capability is its critical feature. 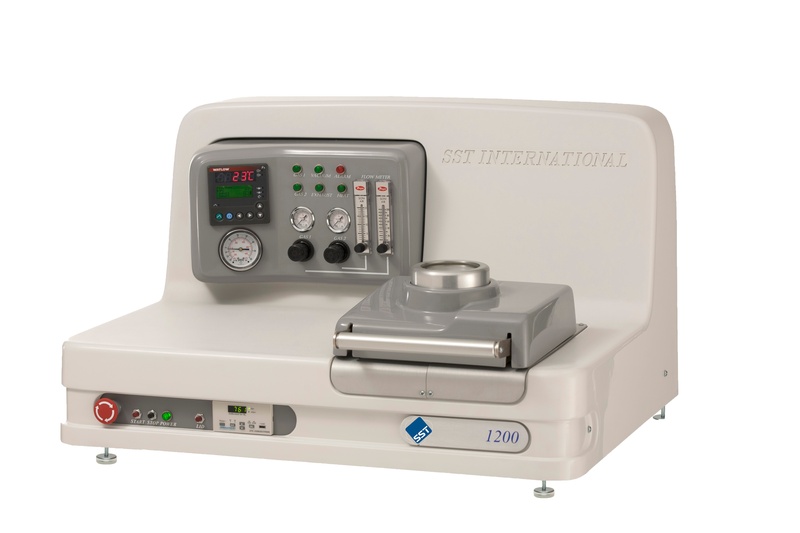 Epoxy and eutectic die bonding, wafer scale packaging and flip chip processes are available in this machine’s compact footprint, making high-accuracy component assembly both practical and cost-effective. 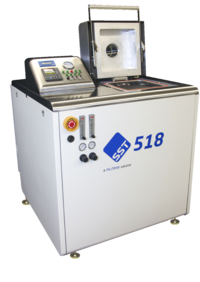 The 518 Vacuum/Pressure furnace is a smaller version of the 5100 model, offering an ideal combination of performance and value for R&D labs to high-mix, low-volume production environments. Void-free, flux-free solder joints are reliably obtained through carefully controlled and sequenced combination of heat, vacuum and pressurized inert gas. The 1200 Table Top Furnace is used for process development and low volume production soldering of microelectronic packages and components. It performs void-free die soldering to create a uniform thermal interface for high-reliability microelectronic devices.